Search Engine Optimization is still one of the most powerful tools that businesses have in terms of online marketing. An entire industry has been built in the last decade on a very narrow idea of the ability of marketers to get businesses ranking as highly as possible on search engines like Google. High rankings were sold as a service in order to increase traffic, superior lead generation, and—ultimately the most important benefit of all—higher sales. Low ranking was essentially the same as not having an online presence at all. Over the last several years, however, the SEO environment has changed in a number of distinct ways that are more than worth exploring. In short it’s important that marketers think far beyond rankings. The advent of Google’s Rank Brain and Artificial intelligence, the explosive growth of mobile devices, and the emergence of digital assistants—such as Siri and Google Now that can tap into “implicit” search queries—has changed how Enterprises marketers think about SEO. SEO is about capturing active demand—demand that already exists. Every day, billions of individuals search online to be informed, educated, entertained or inspired. It is a ready market that is searching for what you offer. To put that into a slightly different perspective, it is estimated that Google gets roughly 100 billion searches worldwide each month as of December 2015. There are approximately 1.17 billion unique users visiting Google every 30 days. If your business is in a popular industry and you hold the number one spot for your industry’s relevant keywords, you’re potentially talking about an incredible amount of traffic that even large, established businesses can’t afford to ignore. To say that SEO is important to the success and well-being of a business in the digital age is something of a dramatic understatement in that regard. While higher rankings continue to equate to better traffic, this notion has driven the wrong activities on the part of marketers for many years. Ultimately, users choose sites from the search results based on which one best answers their queries and provide the best experience. Even though the first few rank positions may get the most clicks, if they do a terrible job of providing value, they will quickly and most certainly lose favor with those users for any of their future queries. With this many potential customers on the table, it’s easy to see why SEO in general is such a hot-button issue. Search engines like Google determine which sites rank in which order based on a very specific algorithm, which is largely kept secret to prevent businesses from “gaming the system” to try to artificially inflate their value and rank above other sites that may be more relevant to a user’s interests. Google, and for that matter, most search engines, have expressly stated their objective of providing users with the best possible answer for their queries. In fact, over the last several years, Google in particular has made a number of changes to their algorithm designed to penalize sites that were trying to trick the algorithm rather than focusing on providing the best experience to users. As a result, many of the techniques that the SEO industry was founded on are not just ineffective, but they can actually result in a business getting penalized and de-listed altogether in the case of repeat offenders. One of the many things that Google’s algorithm looks for when determining a site’s ranking is the presence of certain keywords related to a particular search. If you run an electronics retail business in Cleveland, for example, your site would rank highly in a Google search result if keywords like “electronics” and “Cleveland” were present in the text multiple times. When Google “crawls” a particular website, it identifies the most common words, phrases and other collections of text as keywords for that particular page. 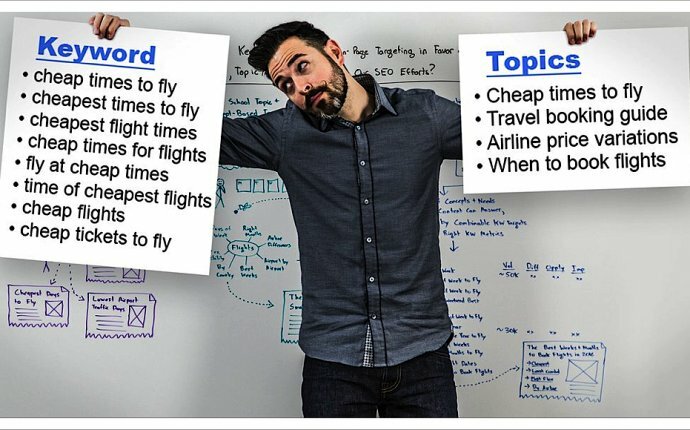 While this particular method of calculating a site’s rank was created with only the best of intentions, it eventually led to a string of sites that would “stuff” keywords into their pages, their page titles, and meta descriptions to inflate their rank at the expense of the quality of the content they were presenting. Essentially, it became a numbers game: do you want to rank highly in a search result? Jam as many instances of your relevant keywords into the page, page title, and meta description as possible and you’re good to go.